State-of-the-art 3D scanner Space Spider and Artec Studio 10 software released! 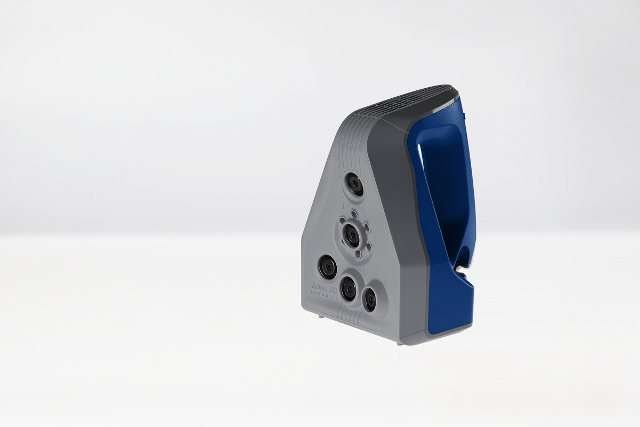 Our new 3D scanner, Space Spider, was inspired by the space industry, which needs an unfaltering, precise and easy-to-use scanning solution on spaceships. To meet these requirements, we developed Space Spider, equipping it with an intuitive cooling system. This enables the scanner to reach optimal operating temperatures faster and maintain a constant temperature throughout the entire scanning process, reducing scanning time, ensuring there is no need to recalibrate the scanner and guaranteeing maximum accuracy. Using blue LED lights, Space Spider can scan a variety of objects of all sizes, even those with sharp edges, moving parts or textured surfaces, in high resolution. It captures objects with an accuracy of up to 50 microns and resolution of up to 100 microns, making it ideal for CAD as well as reverse engineering and additive manufacturing. Space Spider makes a perfect pair with the latest version of our sophisticated 3D scanning software, Artec Studio 10, whose optimized algorithms bring both scanning experience and 3D data processing to perfection, ensuring the highest speed, accuracy and ease of 3D data collection and editing. So what are the new and enhanced features of Artec Studio 10? First, we made sure that while scanning, the user can keep total control of tracking even when the scanner is shaken or turned. Should the user make larger movements that may disrupt the scan, the continuous scanning algorithms are able to automatically adjust and pick up where the scan left off. In addition, Tracking Alignment Correction will identify tricky scanning areas and automatically realign scans during the scanning procedure itself, substantially reducing the time needed for post-processing the data. The new version of Artec Studio sets impressive speed records, for instance, mesh simplification is now up to 90 per cent faster and texture color mapping is five times faster than before! Texture editing has become easier, with complicated missing texture data being automatically predicted, reproduced and filled in. The software also enables the user to automatically remove targets when photogrammetry solutions are used. 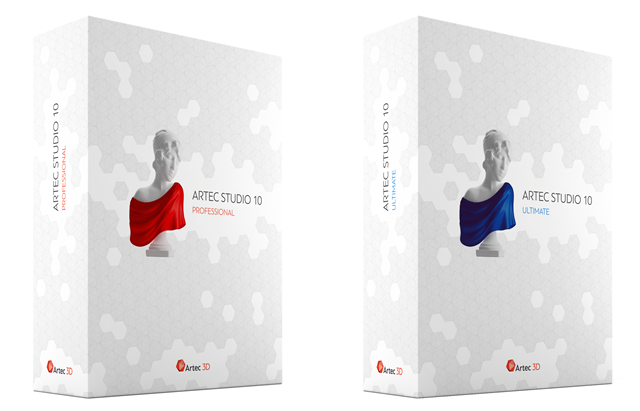 Artec Studio 10 is available in two editions: Professional and Ultimate, which are both compatible with all of Artec 3D scanners. The Professional edition is available as the usual one-time purchase or, for the first time, as a yearly subscription, ensuring that users always have access to the latest upgrades. Artec Studio 10 Ultimate is available by a yearly subscription only and the software is compatible with all Artec scanners as well as a variety of sensors including Kinect for Windows V2, Intel F200 (IVCAM) and ASUS Xtion.